Europe is having an economic crisis due to the continues surging of inflation in the region. 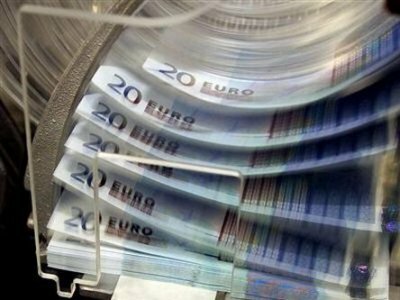 According to Eurostat, the Eurozone inflation surges to 2.7% yearly for the month of March. That’s higher than the original reading of 2.6%. The ECB just started it tightening measures last week, so any effect will likely to show up in the next reading. Europe is still reeling from oil price hike due to instability in Middle East. Increasing taxes on goods and housing are having an impact too. The main components with the highest annual rates in March 2011 were transport (5.6%), housing (5.1%) and alcohol & tobacco (3.6%), while the lowest annual rates were observed for communications (-0.6%), recreation & culture (-0.3%) and household equipment (0.9%). Concerning the detailed sub-indices, fuels for transport (+0.60 percentage points), heating oil (+0.24), electricity and gas (+0.10 each) had the largest upward impacts on the headline rate, while telecommunications (-0.11), rents and cars (-0.09 each) had the biggest downward impacts. It is still unknown whether ECB President – Jean-Claude Trichet – will push for further tightening this April.